Remember Americana Dawn, aka &#39;American History: The JRPG&#39;? Remember Americana Dawn, aka 'American History: The JRPG'? Of course you do. I first wrote about it yesterday. 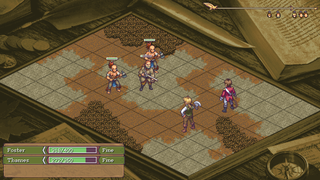 Well, now it's taken its Suikoden-esque antics to Kickstarter. That was fast. It continues to look intriguing, though—US history books filtered through another country's lens. Check it out. Next someone should make an apple pie about the origins of sushi.